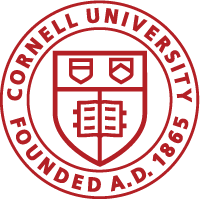 Cornell University Emergency Medical Service (CUEMS) is a student-operated, New York State certified, first response emergency medical services agency that serves the Ithaca Campus of Cornell University and surrounding University-owned properties and roadways, twenty-four hours a day, seven days a week during the academic year. CUEMS provides emergency medical care at the basic life support level, free of charge to all students, faculty, staff, and visitors of the University. Our agency of approximately 65 active members responds to over 600 calls for service each year. CUEMS also provides standby EMS coverage at campus events and training for all members of the Cornell community in cardiopulmonary resuscitation and first aid. Working together with other emergency services from Cornell University and Tompkins County, CUEMS provides a valuable resource to the Ithaca Campus and surrounding community.